I was saddened to learn of Slayer guitarist/songwriter Jeff Hanneman's passing earlier this morning. I have been a fan of Slayer's music for a very long time, and have had the good fortune to see the band live on a number of occasions. Jeff Hanneman wrote the majority of Slayer songs I count among my favorites, and his playing, specifically his soloing, was a high point for me on most Slayer compositions. 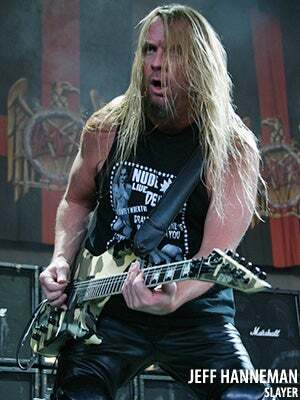 At just 49 years of age, Hanneman left us far too soon. I can only hope his family is coping with this tragedy and wish that they take some comfort knowing that Jeff had such an positive impact on thousands of fans the world over through his passion for music. Jeff will live forever through his music. R.I.P. Jeff Hanneman, January 31, 1964 - May 2, 2013.